THERE is seemingly no end in sight to the ongoing player wrangle between Harare giants Dynamos and Chicken Inn involving winger Valentine Kadonzvo, who allegedly acquired a clearance from the Harare football giants on the pretext that he was going to the United States for studies. Interestingly, the two teams lock horns in the third week of the upcoming Castle Lager Premier Soccer League season, which begins on March 30 and the impasse could affect Kadonzvo's involvement in the tie. 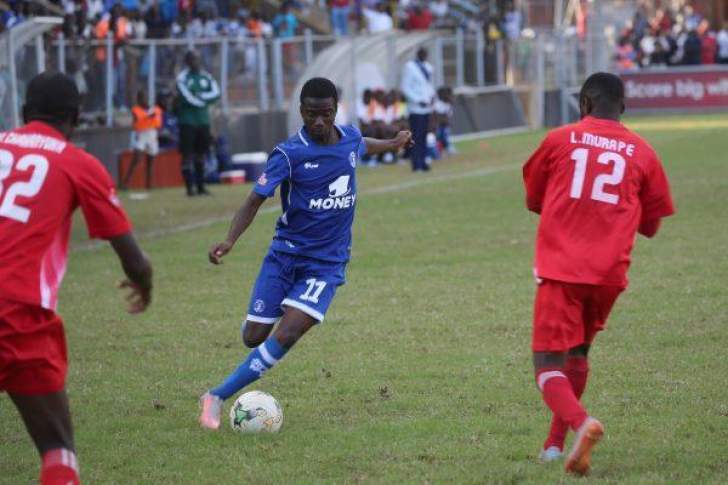 Kadonzvo, one of the six players from last season that Dynamos coach Lloyd Chigowe was looking to build a new team around, requested a clearance from the club on the pretext that he was going to the US to pursue studies only to resurface at Chicken Inn. A number of players, including Kudzanai Nyakasaka, Phakamani Dube and Bret Amidu, have crossed over from Dynamos to Chicken Inn largely without incident. The move by the 23-year-old player, who starred in DeMbare's fight against relegation last season, could cast his promising football career into jeopardy if the dispute is not amicably resolved. Dynamos are demanding $8 000 from Chicken Inn over the player although it's not clear whether they have approached the Zifa Players' Status Committee. Initial attempts by the Gamecocks to settle the matter hit a snag as the Harare giants refused a reported $2 500 counter offer. However, the Bulawayo side is now reluctant to pay anything to Dynamos for a player who joined the club as a free agent. "We do not have any issue with Dynamos; in fact, we are not giving them anything because when the player came here, he had a clearance letter that is why we went on to sign him," Chicken Inn secretary-general Tavengwa Hara told Standardsport in an interview. "We are not paying attention to that. Imagine if the player had joined a lower division team, would they demand money from that team? "What if he had really gone to the US and played for another team, would they go on to demand money? "I think there is no issue here and we are not concerned about that because the player made a choice to join us." On the other hand, Dynamos spokesperson Tinashe Farawo was rather reserved in his comments as he indicated that there were no new developments in their bid to get a fair share of Kadonzvo's transfer. "The season is yet to begin, but so far there is no new development on the matter. Once something comes up, we will let you know," he said. The Premier Soccer League has in recent times been rocked by player wrangles some of which have seen some players such as Lawrence Mhlanga for a long time frozen as ownership battles between clubs raged. The matter was later on resolved, but the player lost a considerable amount of game time while he was on the side-lines.